ACDS Featured at Veterans Affairs Commission Expo - Arundel Community Development Services, Inc.
On Saturday, April 22, 2017, the Veterans Affairs Commission had an Expo to provide attendees information about benefits, services, and resources available to military families in the Anne Arundel County community. 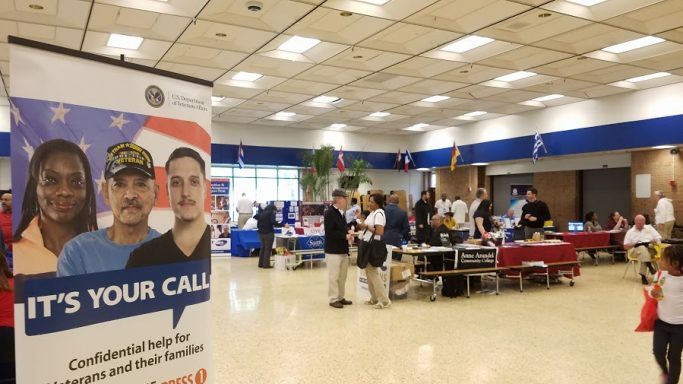 This expo had approximately 150 people attend and 50 vendors were stationed to provide resources. ACDS was there to promote our Homeownership Counseling Program, Mortgage Assistance, Property Rehabilitation Program, and Foreclosure Prevention Program. With this event we were able to show the community who ACDS is and promote how we can make a difference in the community. This expo was also an article in the Capital Gazette please click here to view.